"We brand our system 'GPS Advising,' " says Timothy Renick, the university's senior vice president for student success. "Students are notified the moment that they make a wrong turn, and we can advise them about what they need to do to get back on path again." 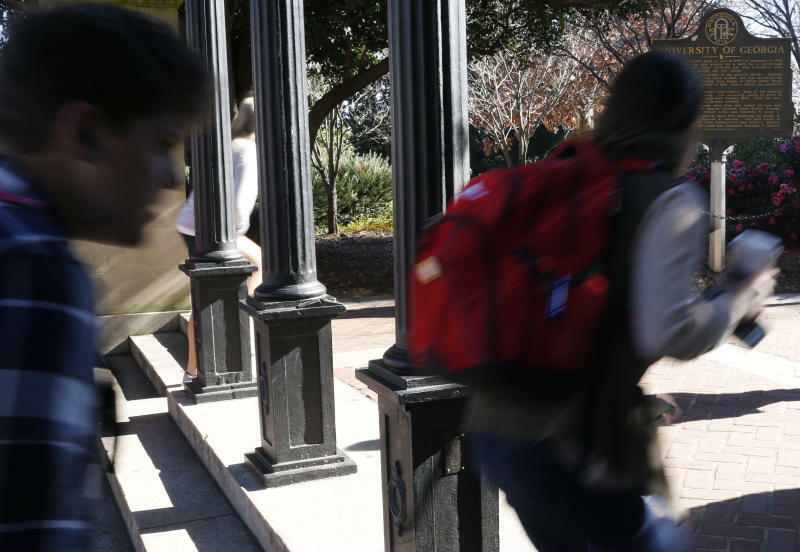 But it's up to students to take advantage of assistance, at Georgia State and elsewhere. Don't be embarrassed to use tutoring services, writing centers and other on-campus resources; they're there to help you. The Community College Research Center found that students at four-year colleges who take 15 credits their first semester are 11 percent more likely to earn a degree than those who take 12 credits. That's partly due to basic math. The 15 credits you take to stay on track shouldn't be for just any courses. You want classes that count toward your major, says Bruce Vandal, senior vice president of the national nonprofit Complete College America. "The more credits you take in your major the first year, the better off you are," says Vandal. He recommends nine as a goal. Balance the types of classes, too. Renick says Georgia State University identified "toxic combinations" of courses. For example, they found students struggle when taking calculus and physics in the same semester. "If you barely pass that first course, talk to a faculty member or advisor about how you can strengthen your skills before attempting upper-level and more difficult coursework in the field," Renick says. Remedial classes are supposed to prepare students for college-level work. But they can make students feel like they don't belong in college. If you need remedial classes, you're not alone. Approximately 1 in 4 freshmen end up in remedial classes, according to the national think tank Education Reform Now. If you're facing a financial shortfall, talk to the financial aid office about options like completion scholarships and emergency loans. For example, Georgia State University provides micro grants to help students complete their studies. Students who don't attend class struggle academically. "This view is not just what faculty members claim to get you to show up," Renick says. "The data support the claim." If you're not putting in the necessary effort, ask yourself why. Regularly skipping class is likely symptomatic of a bigger issue. Figure out the root problem and address it before your grades suffer too much. "There is likely somebody on that campus who can help you navigate (your) challenges," says Vandal. "It's not something you have to bear alone."